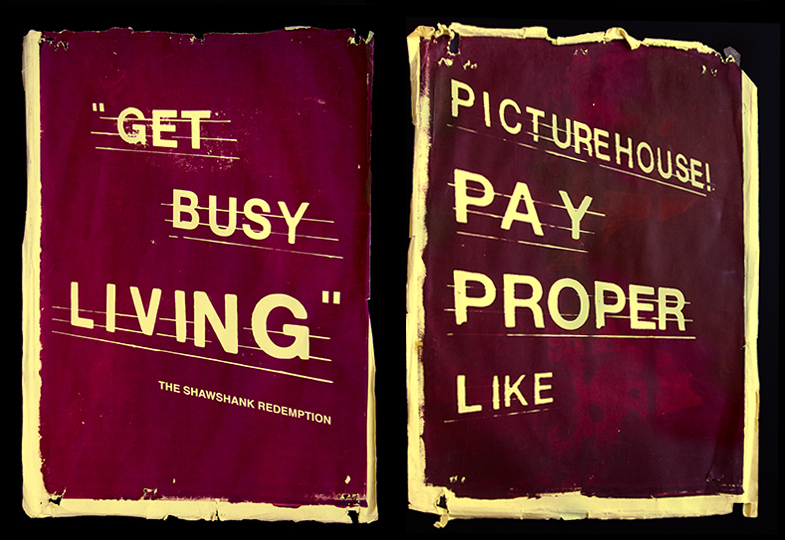 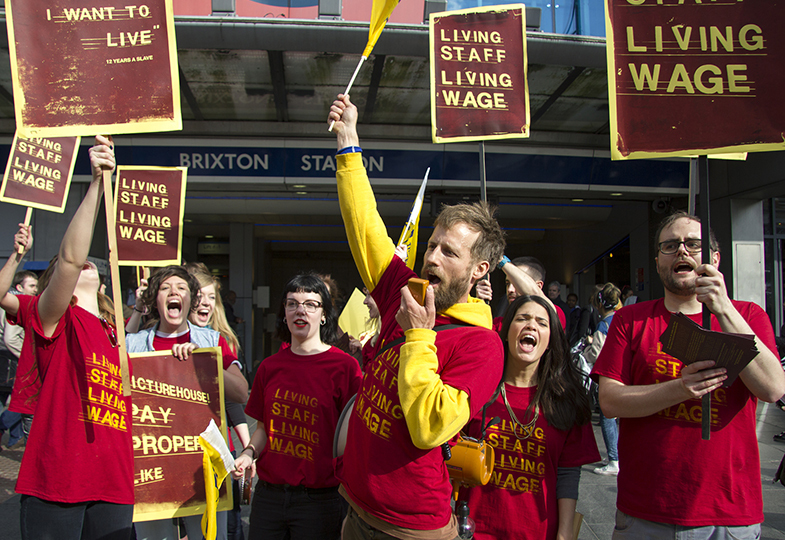 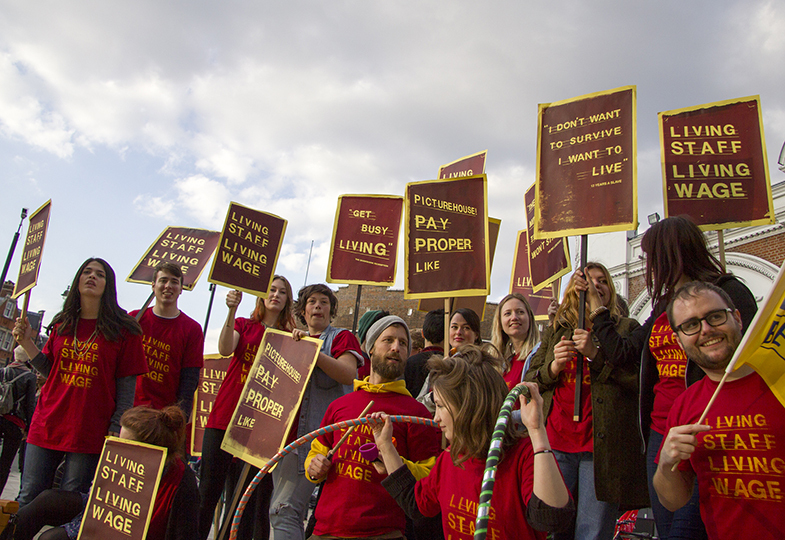 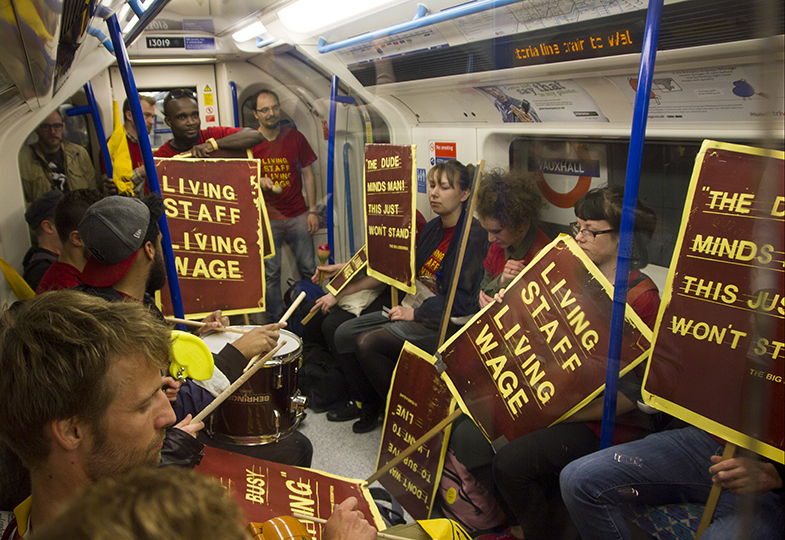 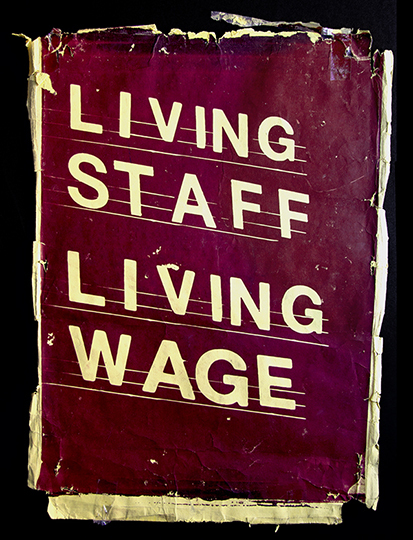 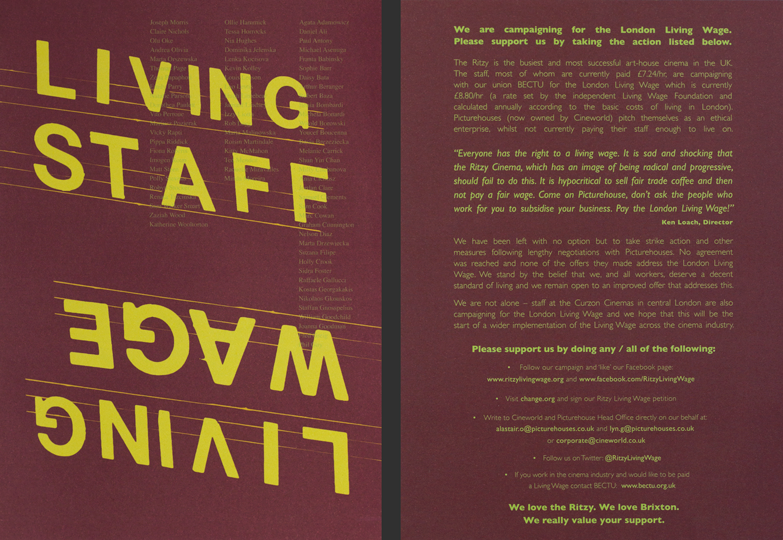 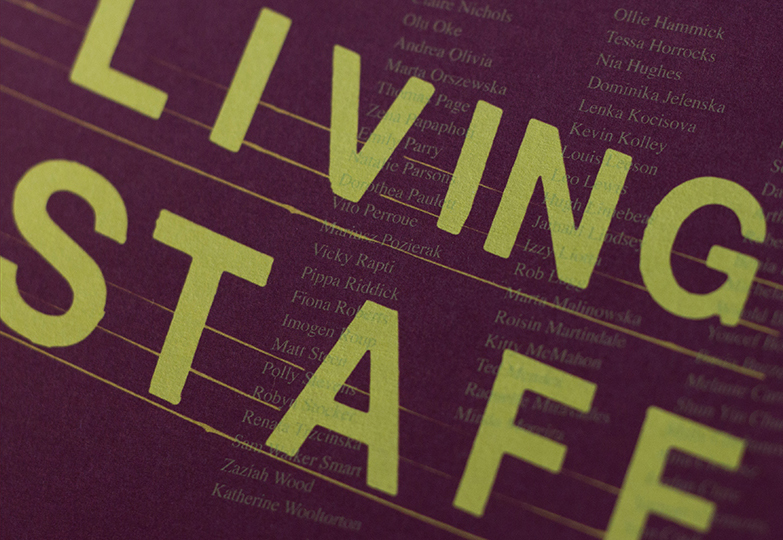 Design, strategy, print, film and photography for the Picturehouse Living Wage campaign, supported by the union BECTU. 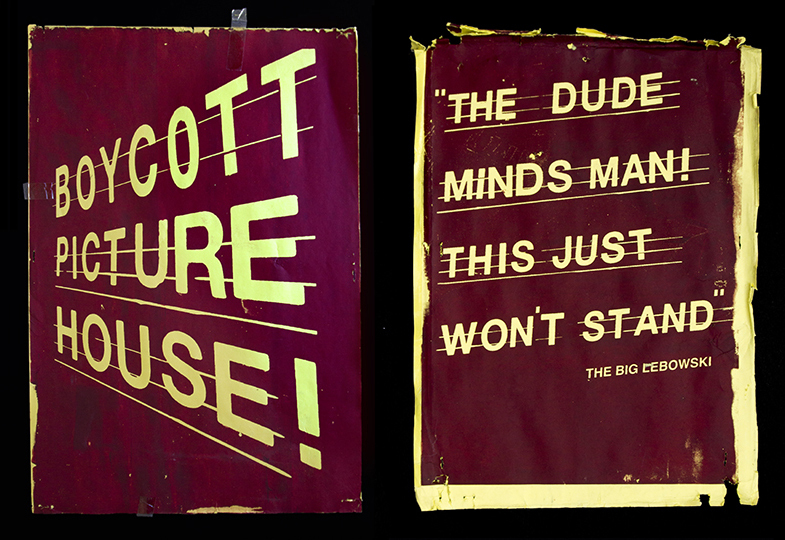 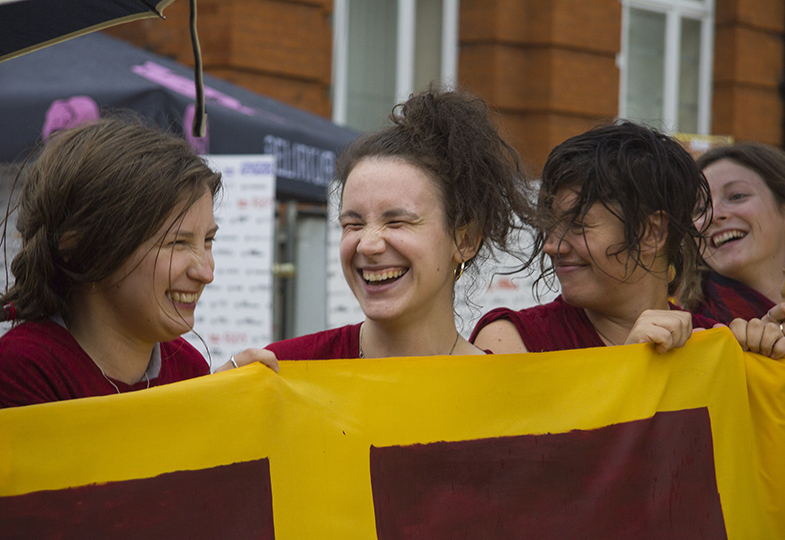 Work involved devising slogans and designs for placards, t-shirts and marketing and focused on using entertainment as a central role in engaging the public in an otherwise political subject. 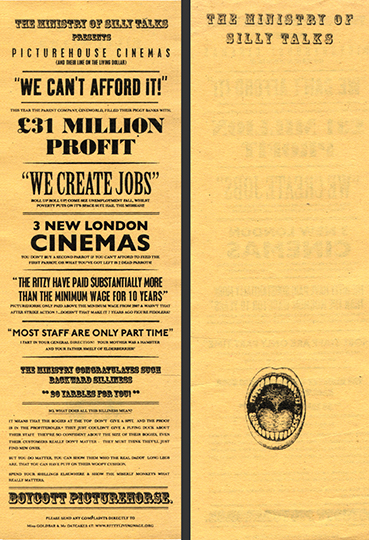 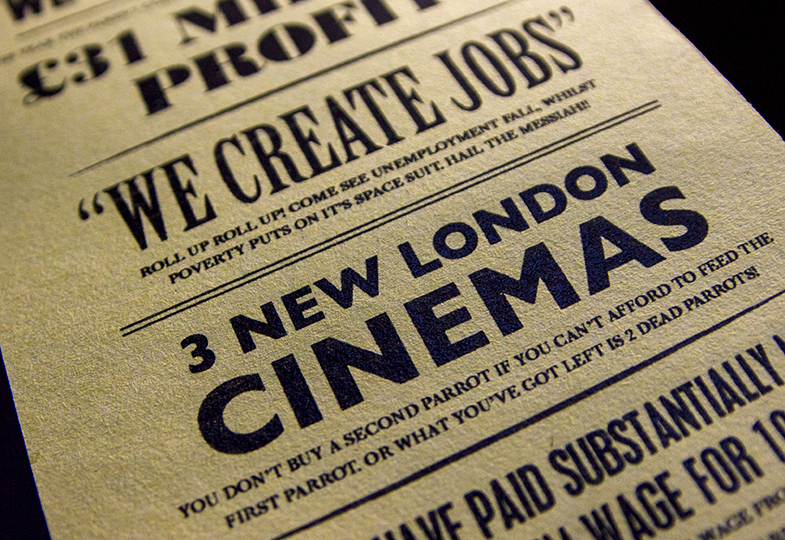 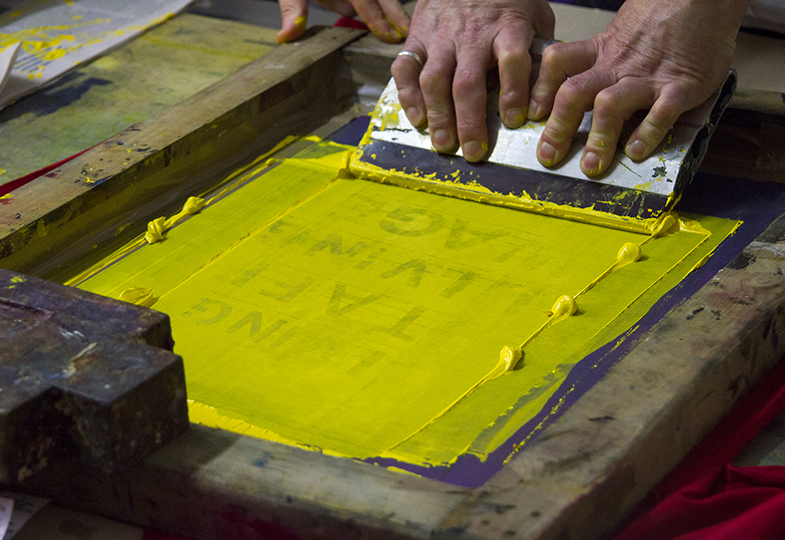 Placards were hand printed and new colours were added to demonstrate the growth of the campaign across new cinema sites. 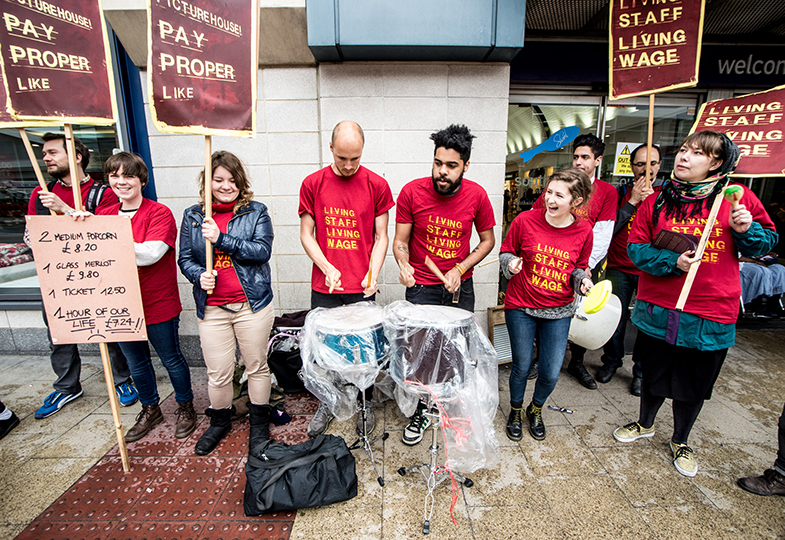 Endorsed by industry figures such as Ken Loach, Will Self and Jo Brand, with local and international support, it has become the longest running strike in UK history. 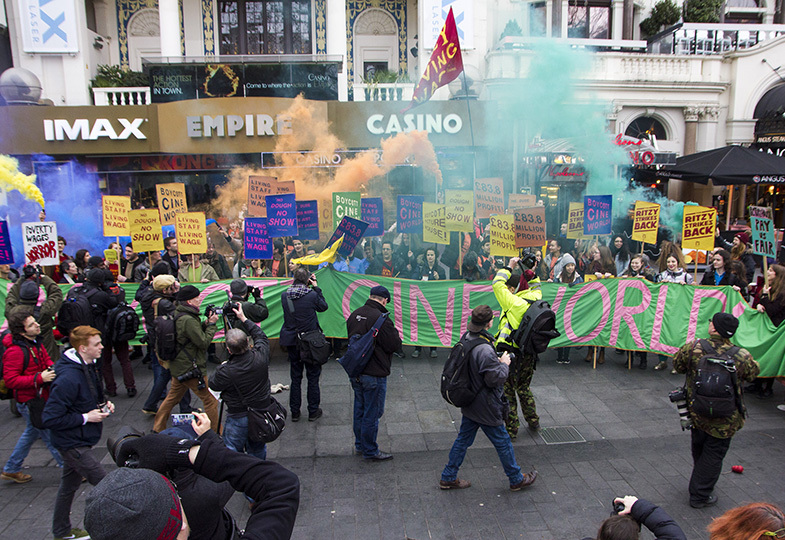 Extensive media coverage included Channel 4 News, The Independent and the front page of The Observer.